Our public tours run year round on a regular schedule of Fridays, Saturdays, and Sundays. Tickets for public tours must be purchased in advance and there are a limited number of tickets sold per tour. It’s a good idea to buy your tickets early around the holidays – we sell out well in advance at those times of year. Your public tour will be about 1 ½ hours. Please, arrive 20 minutes early to check in. Our trained volunteer tour guides will walk you through the animal sanctuary. 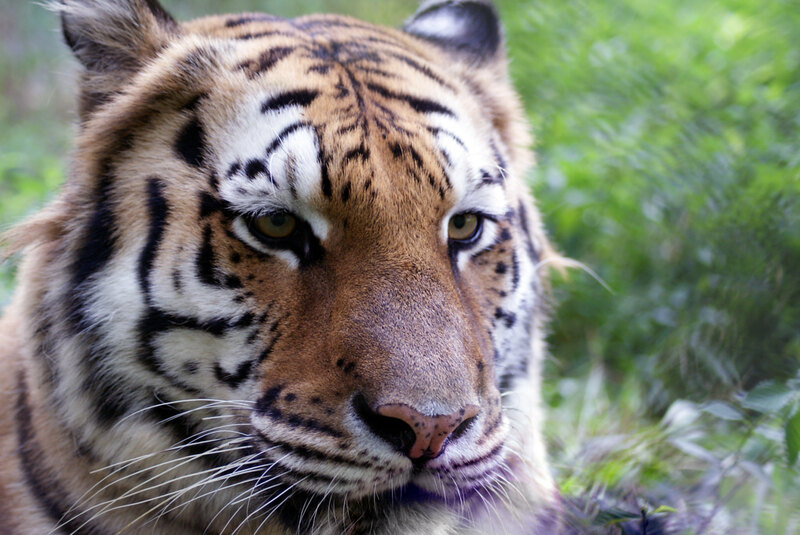 You will learn about the different species living at Carolina Tiger Rescue and the problems they face in the wild. You will also hear about the challenges they face in captivity. You will have the opportunity to ask questions and take photos, but you will not have any physical contact with the animals. Additional tours are available during holidays. Ready to buy your tickets? Buy them now! Tours are the only way to see the animals. Public tours may sell out up to two weeks in advance. If a minor child is not coming with their parent, a Combined Minor Release Form must be filled out by their parent and brought in at the time of your tour. All tours go out rain or shine. In the event of an extreme weather event, Carolina Tiger Rescue will contact guests if we need to cancel. Photos may be taken during your tour after a visitor release has been signed. Is the sanctuary accessible to those with disabilities? The Education Center is wheelchair accessible. However, the gravel and grass paths may not be as wheelchair friendly. If you have accessibility issues, please call 919-542-4684 to make arrangements. GPS may not provide accurate directions to our location. We recommend using the directions from our website to ensure you get here successfully. Can I bring my pet to the sanctuary? We do not allow outside animals anywhere on the property. Please leave your pets at home.